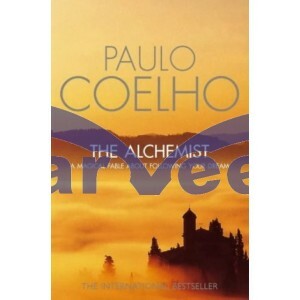 The Alchemist details the journey of an Andalusian shepherd boy named Santiago. Santiago, believing a recurring dream to be prophetic, decides to travel to the pyramids of Egypt to find treasure. He then tells a lone gypsy about this treasure. As he leaves, the gypsy mentions one thing: If he does find the treasure, she wants 1/10 of it. On the way, he encounters love, danger, opportunity, disaster and learns a lot about himself and the ways of the world. One of the significant characters that he meets is an old king named Melchizedek who tells him about discovering his personal legend: what he always wanted to accomplish in his life. And that "When you want something, all the universe conspires in helping you to achieve it." This is the core philosophy and motto of the book. During his travels, he meets a beautiful Arabian woman named Fatima who explains to him that if he follows his heart, he shall find what it is he seeks. Santiago then encounters a lone alchemist who tells about personal legends. He says that people only want to find the treasure of their personal legends but not the personal legend itself. He feels unsure about himself as he listens to the alchemist's teachings. The alchemist states "Those who don't understand their personal legends will fail to comprehend its teachings."